Becoming reflective about our learning and teaching strengthens our capacity to learn and makes us a more effective teacher and instructor and informs our ability to think critically about ideas and information. Reflective learners assimilate new learning, relate it to what they already know, adapt it for their own purposes and translate thought into action. Reflective learning, however, takes time and is not something that we do naturally. 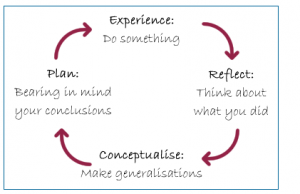 We need to become aware of our thinking processes, make time for reflection, actively plan opportunities to reflect and train ourselves in reflective techniques. Action Research is research on our actions and activities that can be done in the course of our library and teaching roles. Action Research is a means of “encouraging change in an individual”, and therefore contributes to your professional development. 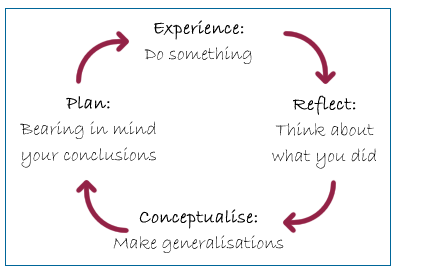 When considering the concept of learning, reflection in a very important element.